Apple Purchases Beats in $3 Billion Deal - Will it change the Music Experience? Apple Purchases Beats in $3 Billion Deal – Will it change the Music Experience? Apple has been known to be a company that likes to dabble a bit into the music industry. Yes, that is quite the understatement knowing the fact that Apple revolutionized the industry with the invent of the iPod. However, Apple hopes to get in on the music experience once more with the acquisition of Beats by Dr. Dre. For $3 Billion, the tech giant and the popular headphone company joined forces, making well-known rapper Dr. Dre a part of the Apple team as well. TechWalls’s Adeel Inam reported two weeks ago on the possibility of this occurring. What does this partnership mean for both companies and what else does Apple have in store? This is what we’ll discuss today. Beats Electronics has been around for almost a decade, founded in Santa Monica, California. With Dr. Dre as founder and Jimmy Iovine as co-founder, the company has skyrocketed into popularity through smart marketing tactics making use of famous artists in popular music genres. Apple has caught on to the success of Beats Electronics, previously in partnership with Monster Cable. Such technology is found now in laptops, including the HP Envy line and the Chrysler LLC. Beats Music is a subscription music service a part of Beats Electronics. This, according to Beats Electronics, allows them to be inclusive in the music experience. The $3 Billion deal revolves around Beats Electronics product line and subscription service. Both of which will be offered by Apple, Beats Electronics continues to be considered it’s own entity, not necessarily ceasing in existence. In financial specifics, there will be $2.6 Billion given in cash and $400 Million given in stock options, all taken care of by the end of 2014. This is the biggest acquisition Apple has ever taken up, even during Jobs’s era. However, the acquisition cost only takes up a percentage of the $150 Billion in revenue Apple took in 2013. Despite this, what does Apple have up their sleeves with this new, large partnership? Aside from this being Apple’s biggest acquisition cost ever, there is more that makes this partnership significant. For Apple to spend such an amount on a entertainment electronics company, that has already implemented its technology in computers including the HP Envy, this could signal that Apple is looking to add such a technology into its own products as well. Apple is already merging Beats Music and iTunes for individuals to make use of. This is to compete with music streaming giant Spotify. News of a beats acquisition comes four days before the start of the Wordwide Developers Conference in California, where Apple is expected to reveal a couple of new software to their line, including a new OS X Maverick and iOS 8. A possible touch-up to the iMac lineup and a possible “Home automation platform” similar to Nest is also expected to come out of this year’s WWDC. Too Much Freedom for Beats? All in all, the autonomy that Apple is giving to Beats Electronics is unlike other Apple acquisitions. 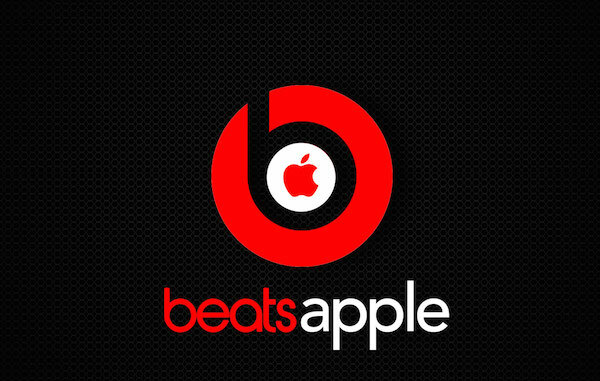 Not only is Beats still a separate company simply owned by Apple, Beats Electronics is able to continue to be implemented in the gadgets of some of Apple’s rivals in the Windows sector. In essence, Apple is smart in this approach, making companies benefit Apple by using Apple-owned pieces. This is a step that we feel Steve Jobs wouldn’t have necessarily have done if he was in management at Apple. Regardless, we feel it was a smart idea. What are your feelings on this acquisition? Let us know in the comments below.